The indigenous cultural communities (ICC) in the Philippines are believed to make up about ten percent of the national population. Also known as cultural minorities, they had been pushed to the mountains and forests by lowlanders ever since towns and cities were built. Most of the ICC do not possess money or private property and, widely discriminated against, find it hard to integrate with mainstream society. With the destruction of the forests as well as with efforts of the lowland majority to assimilate them into Christian culture, the ICC struggle to protect their ancestral domain and cultural identity. In 1986, fifteen of the more than eighteen ICC in Mindanao adopted the term lumad, a Bisayan word for “native” or “indigenous,” to distinguish themselves from the Christians and Muslims in Mindanao. Republic Act 6734, enacted during Corazon Aquino’s time, used the term to differentiate these ethnic communities from the Bangsamoro people. Lumad are non-Muslim or non-Christian, although “the orientation of their cultural developments … appears to be toward the Muslim groups” (Jocano, 1998). The anthropologist Felipe Landa Jocano stresses that “in most cases, language is the only differentiating element in ethnic cultures, particularly among those which occupy adjacent and contiguous territory.” Most of the ICC in Mindanao speak languages belonging to the Manobo family of languages, except the Blaan, T’boli, and Teduray. The lumad who live within the southern highland ranges are swidden farmers, and practice little trade. Like many of its neighbors, Bagobo society is ruled by a class of warriors known as magani or bagani. The Bagobo’s elaborate dress and personal adornment are well known among anthropologists. 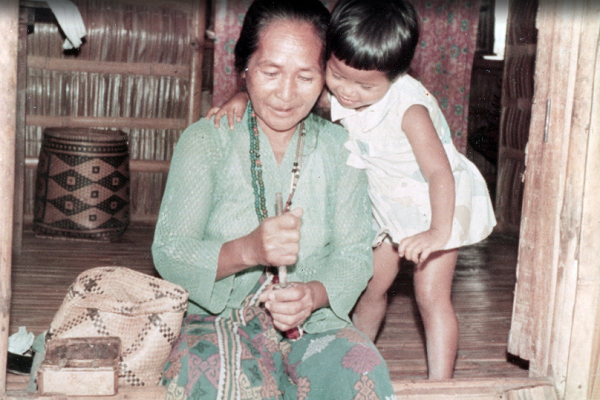 The T’boli and Teduray are also known for their baskets, trinkets, bracelets, and earrings made of brass. The T’boli’s t’nalak are prized fabrics believed to be inspired by the dreams of the woman weavers. The Mandaya, Agusan Manobo, and Ata share numerous cultural traits and social institutions such as in clothing and religious rituals. They practice slash-and-burn farming and trade with neighbors. Warriors, headed by the datu, are greatly valued and respected. On the mountains and plateaus of Bukidnon live a number of ICC collectively known as Bukidnon (from a Bisayan word for “mountain people”) but who call themselves Higaonon, or “mountain dwellers.” The mountains and ravines had separated them from their neighbors, and may account for why many of their traditions and practices have been maintained. In recent years, however, the Higaonon are slowly being assimilated into the prevailing lowland culture. The Subanen also refer to a several ethnolinguisiticgroups found in the hills and coastal lowlands of Zamboanga. They are slash-and-burn farmers who fish, hunt, gather, and practice little trade.